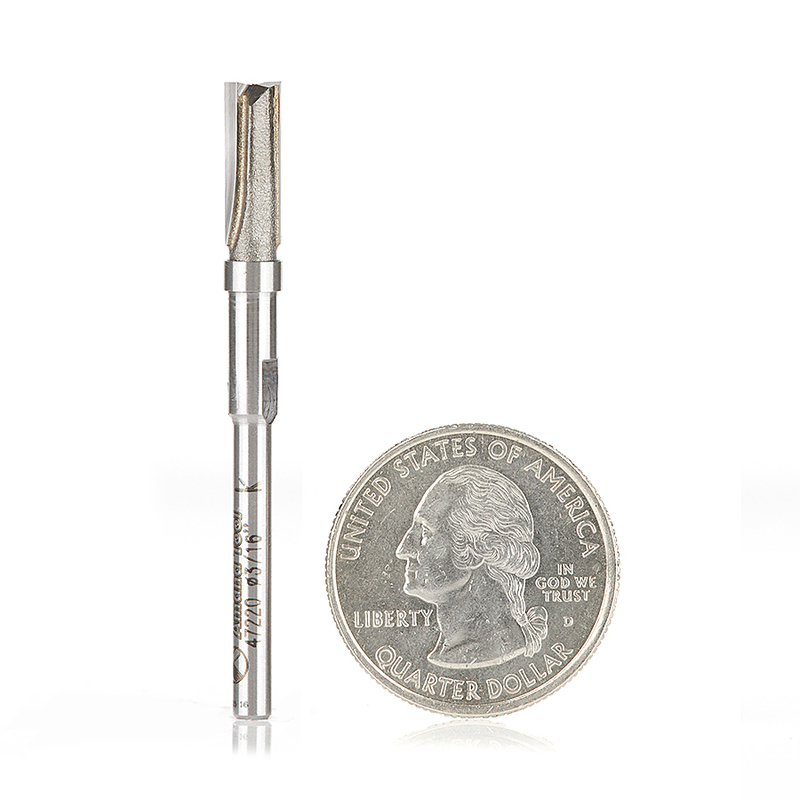 This exclusive miniature bit features a 3/16" diameter ball bearing guide that is much smaller than other ball bearing router bits on the market. 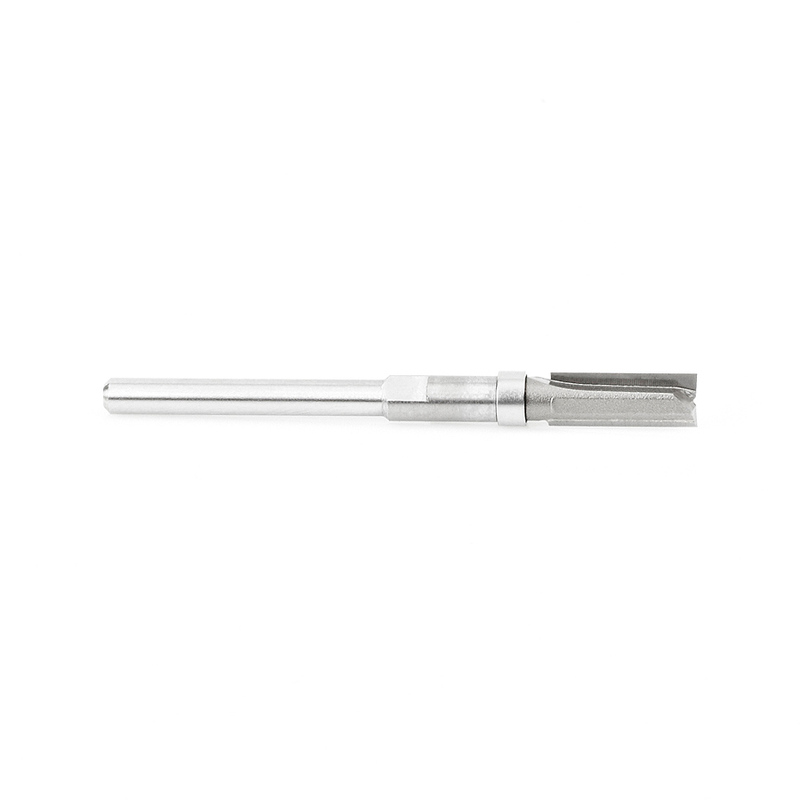 Ideal for small fine work and delicate projects such as signmaking, guitarmaking/luthier, toymaking, routing letter edges, flush trimming, plunging tight corners and confined areas with high production. This bit is essentially a plunge-cutting straight with a shank mounted ball-bearing pilot. It is a versatile bit, useful for template/pattern routing of parts, joints, and internal cuts. It can be used in handheld and table-mounted routers. The template is attached to the workpiece, and the pilot bearing rides along its edge as the cutting edges rout the workpiece, forming an exact duplicate of the template. With a handheld router, the pattern is on top of the work; with a table-mounted router, the pattern is underneath the work. Warning! Reduce RPM and Feed Rates (IPM) by 30-50% to prevent tool breakage due to extremely small diameter (D). Bits are not guaranteed due to extremely small diameter. 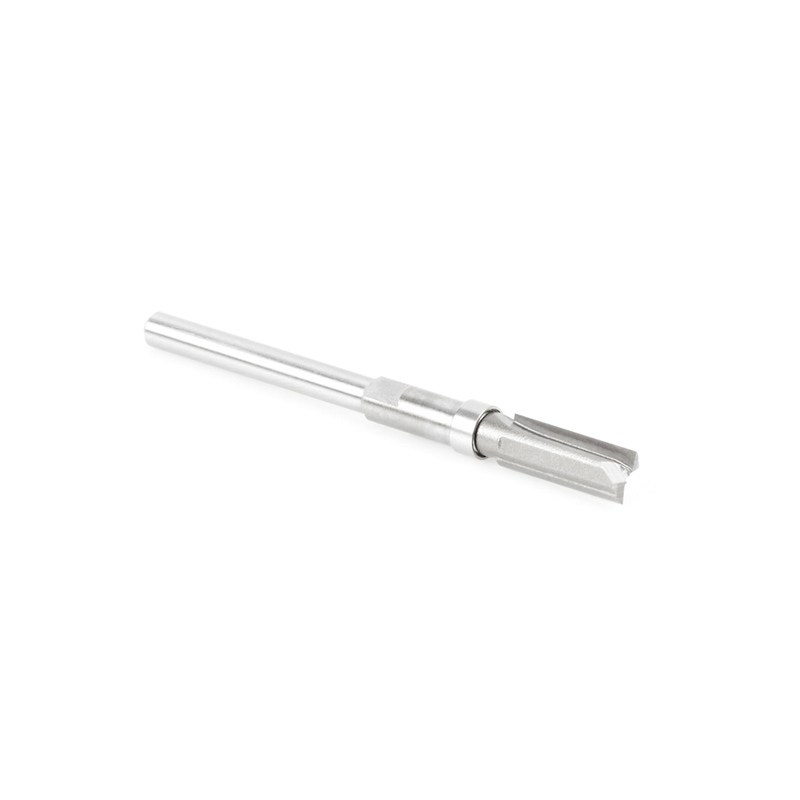 Recommendation: The miniature router bits with 3/16” and 1/4” diameter ball bearing guides were designed for use in intricate and delicate projects with or without tight spaces. Do not flush trim material more than half the diameter of the bearing and slow down feed to reduce load.